An excellent article regarding the activity at the North Korean Yongbyon nuclear complex, was published March 27, 2018 by the New York Times. 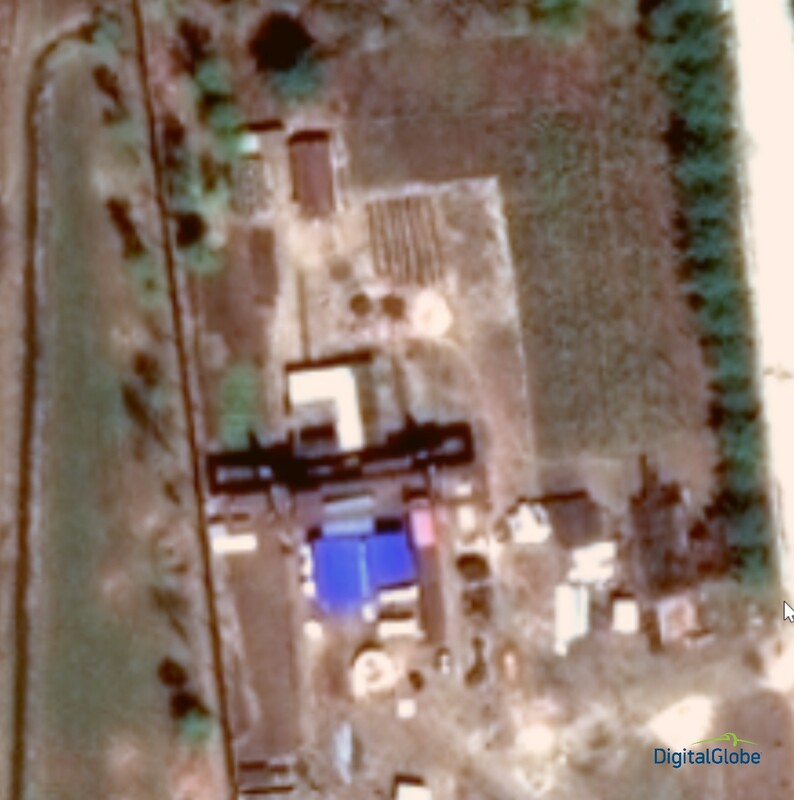 The key point of the article was that through detailed and painstaking analysis of satellite imagery over the area, the analysts conclude that the North Koreans have built and begun operations of a new reactor on the property. 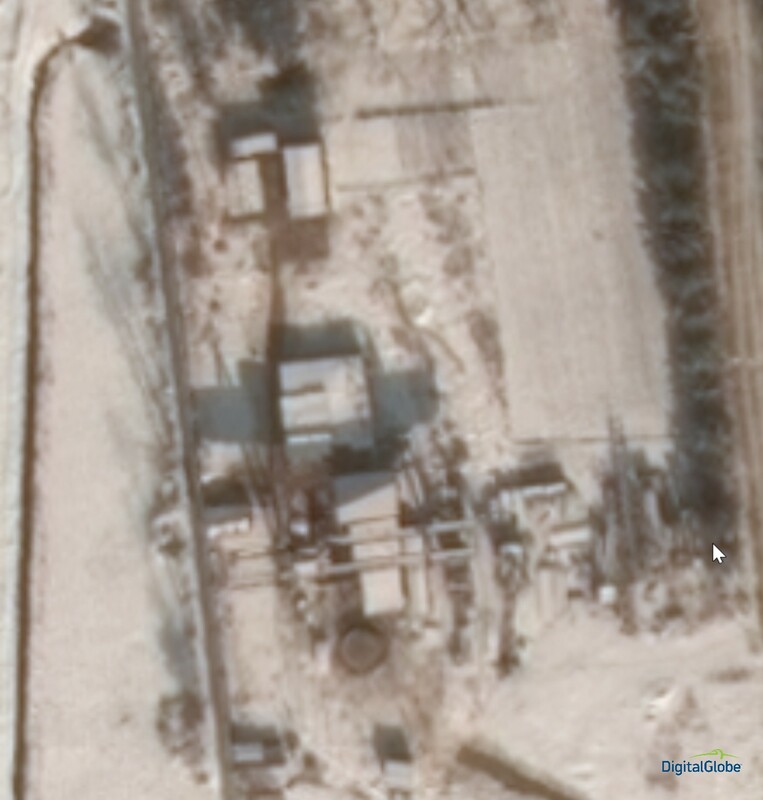 Preparations for operation of the facility appears to have been quite active in 2017. We decided to let our AI loose on imagery of the area, to see if it could pick up any signals. 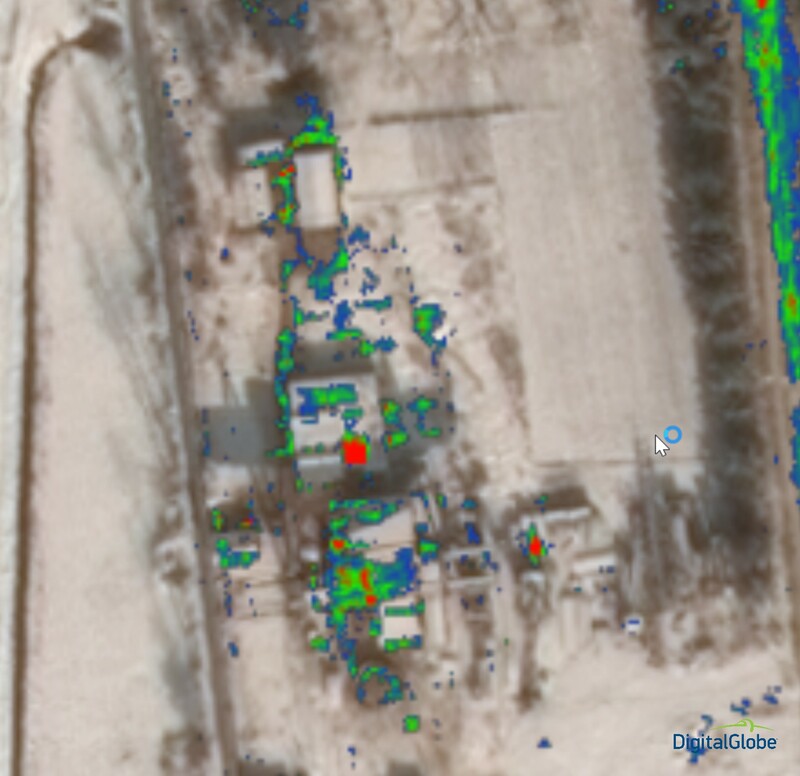 Within hours, the analysis was done and we confirmed that in early 2017 there was activity around the new reactor, even at some auxiliary buildings to the West. Here is the zoomed in area, showing red and bright green where the most unusual changes have occurred by April 19, 2017. The “before” image is during the winter and from January 22, 2017. It’s clear that buildings and equipment have moved during the upcoming months until the April image was taken. Note how the melted snow doesn’t trigger false positive change detection. 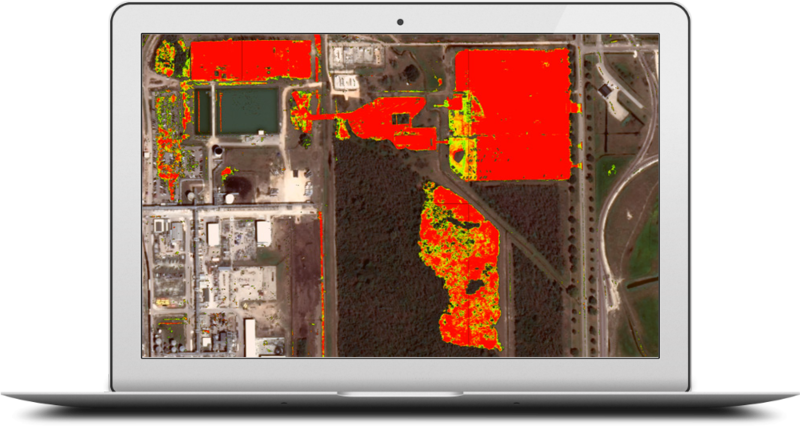 Only the most significant changes are highlighted – resulting in enabling fast subsequent analysis of the images. 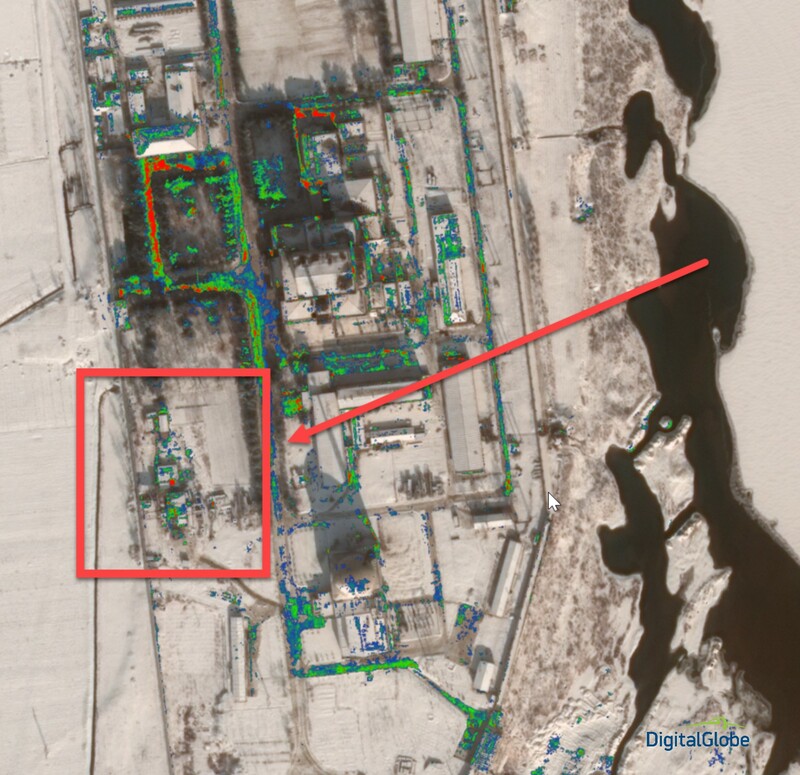 We can’t say for certain what the purpose of the nuclear reactor is for, but clearly we are confirming the NY Times report that there was activity in early 2017 at this auxiliary site near the new reactor. The benefit of using AI-ADS is that within just a few hours it’s possible to scan a very large area and quickly spot where the unusual changes have happened.